The Donegal Garden Trail began in Raphoe, with gardnetes intially coming together in the Volt House to discuss, organise and develop a tour of gardens in Donegal. Locally there are beautiful gardens, some of which are participating, namely Beltany View, Oakfield Park and Ros Bán Garden. 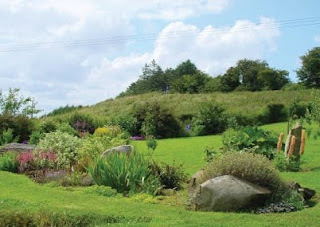 Beltany View has been formed and shaped from a green filled site in the new millennium, the owners being Dutch, and the garden has a distinctive ambiance, set on a slope, facing south towards Beltany Stone Circle. 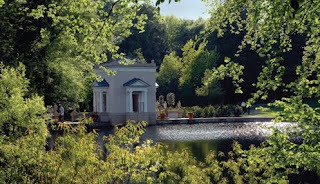 The ponds teem with fish and there are large flower borders with a variety of shrubs and perennials. Oakfield Park, an 18th century garden has recently been restored, enlarged and enhanced. It contains a walled garden, kitchen garden meadows, lakes, wetland areas and a narrow gauge railway. Oakfield park has received rewards too numerous to mention, including the Irish Garden magazine Best Garden for 2006. 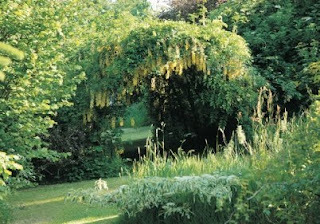 Ros Bán Garden is given over to wildlife friendly activities, with displays of medicinal plants and wildlife posters but, with some very unusual plants to excite the garden enthusiast. Information leaflets on medicinal herbs and wildlife are available. Ros Bán too has won many awards. For more information including contact details see the Donegal Garden Trail Website.